ANTISEL΄s strong cooperation with our suppliers and our skilled team of specialists can cover the analytical demands of this field by offering complete systems and solutions, consumables and application support for petrochemicals and biodiesel analysis and quality control according to all International Standards. ANTISEL provides solutions by PerkinElmer, the global leader in AA for over 40 years. Whether the need is flame or graphite furnace, stand alone or in combination with a hydride generator, we have the experience to help you choose the most appropriate solution for your needs. PerkinElmer is the leader in this field with the widest base of installations all over the world. As ICP-OES is a technique for scientists that look for simultaneous multi-element detection plus sensitivity and throughput, ANTISEL offers instruments and support assuring superior flexibility, ruggedness and the lowest possible detection limits. The PerkinElmer product family offers a variety in products and accessories to lead you to remarkable results when it comes to high-sensitivity simultaneous detection of elements. The unique technology of Universal (Collision / Reaction) Cell guarantees the best possible sensitivity and reproducibility for any kind of matrix. Expert training and support on equipment is provided by ANTISEL. ANTISEL offers GC, GC/MS and GC MSMS-TOF systems by PerkinElmer, combining the chromatography with sample handling, detector choices, data management, service and reliable access to accessories and consumables. Our customers’ needs are covered by plenty of choices for standard plus custom configurations for special requirements. Added to that a full variety of sample preparation systems like headspace and thermal desorbers are offered in order to cover all possible applications. From 5,000 up to 18,000 psi ANTISEL provides a complete line of LC by PerkinElmer. We help our customers to choose from the widest selection of LC instruments, operating modes and performance levels, furthermore from a variety of pumps, detectors, autosamplers and other accessories. 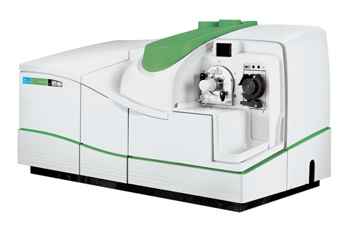 For mid-, near- and far-IR ANTISEL provides a complete line of Fournier Transform (FTIR) spectrometers by PerkinElmer, for superior spectroscopic performance and design. Our platforms offers more sampling options than any other infrared spectroscopy system, including universal ATR and other specialized accessories from a unique range of products. All of them are fully integrated to the Spotlight™ Systems, the complete family of high performance FT-IR microscopy and FT-IR/NIR chemical imaging systems. ANTISEL’s UV/Vis Double Beam Spectrophotometers manufactured by PerkinElmer cover all application fields, from a simple instrument for routine use to high-end spectrophotometers for complicated scientific applications. All the instruments can be equipped with different kind of accessories and sampling devices. ANTISEL is today a uniquely positioned international organization with an exceptionally promising future. However our core values and principles have remained unchanged since the day one of ANTISEL, October 16th 1967. For more than 50 years we have been listening to our customers, sharing their concerns as well as their excitement, and committing all our efforts in helping them to make a difference. This is it. This is us.